If you are in search of spectacular lake views then you will want to call this slice of heaven on highly sounght after Centennial Lake your new home. You must see this gem to fully appreciate all that it has to offer! The secluded circular driveway leads up to a quaint brick home with a real slate roof. The original footprint has been expanded to maximize the views and provide ample living and leisure space. From the minute you walk through the front door you will be captivated by the charm and the attention to detail this eclectic beauty has to offer. The inviting living room not only has a spectacular view of the lake but it has a beautiful river rock fireplace that adds warmth and character to the room. Hardwood floors cover the entire downstairs with the exception of the full bathroom and the den. The kitchen is flooded with natural light from both the front and the back of the house. Seating for 3 at the countertop allows for conversation to flow while cooking at the gas range in the well-appointed kitchen that has stainless steel appliances and a built-in wine fridge. There~s an office nook for doing homework, playing on the computer or downloading a favorite recipe and just below is a full size table with view of the lake. Just off the kitchen to the back of the house is the den. Original slate floors, soaring ceilings with wood beams, a brick fireplace and stove, a cedar closet, a powder room and yet again more views of the lake make this room one you won~t want to leave. On the other side of the kitchen you can access the dining room with its plantation shuttered picture window and brass chandelier. There is one large bedroom with access to it~s own deck and one guest bedroom situated at the end of the hallway to the right of the main entry that share a full bathroom. A floating wooden staircase will take you to the master suite and to another full suite. Closet space is abundant throughout the house and the master suite has a private balcony where you can enjoy your morning beverage while watching the sunrise. As if that weren~t enough, the back yard has various levels of decking and brick patios for lounging, grilling, relaxing or entertaining. 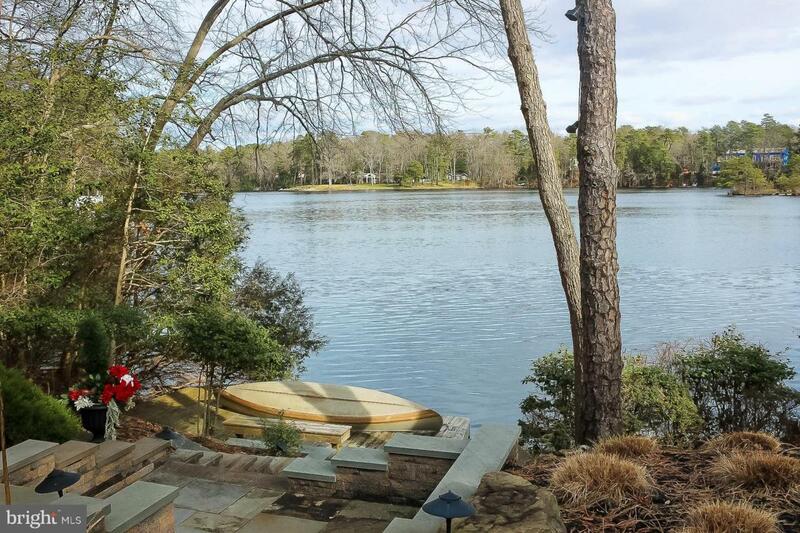 A beautiful stone walkway will lead you down to the dock where you can enjoy fishing, swimming, boating or floating. What are you waiting for, this beauty in the highly sought after Centennial Lake community is sure to be snapped up immediately! Owners installed a brand new septic system in September 2018, painted the downstairs and meticulously maintained the house.